Where did you intern? I interned at Lockheed Martin Rotary and Mission Systems (RMS) as a systems engineering intern in Orlando, Florida. I was tasked with working on the United Kingdom Military Flight Training Systems (UKMFTS) program, which provides elementary to advanced flight training for the aircrew of the British Armed Forces. What did you do there? As an intern, I was there to learn the ins and outs of the UKMFTS program. I gained knowledge about the functionality of our flight simulator system, and I applied that knowledge when testing it to ensure our product was working as desired by the customer. I invested most of my time learning about system requirements, troubleshooting our program, proper documentation, testing and integration, and other smaller tasks. I also learned a great deal about the importance of testing procedures, the corresponding documentation of those procedures, and the relationship and expectations held between Lockheed Martin and its customers. How did the work you do connect back to your coursework? Using my experience as a mechanical engineering student, I was really able to invest myself in a new field and quickly pick up critical knowledge and skills needed within the UKMFTS program. I was able to apply the problem-solving skills I obtained in my engineering courses to tackle problems from different angles. Additionally, I was able to better understand our systems and the dynamics of the flight simulator. It was really cool to see some of the mechanical aspects of what I’ve learned simulated and expanded in my program. What was the coolest thing about your experience? I think one of the coolest things about my internship was being able to talk to people from different backgrounds and at different levels about their experiences within and outside the company. Also, since I was partially involved in testing and integration for the program’s flight simulator, I was able to learn how to properly land a plane (simulated) as instructed by a pilot visiting the facilities. I also think it’s really neat that Lockheed Martin gave me the opportunity to work part-time remotely from Miami until I return for my full-time position after graduation. What did you learn about yourself? 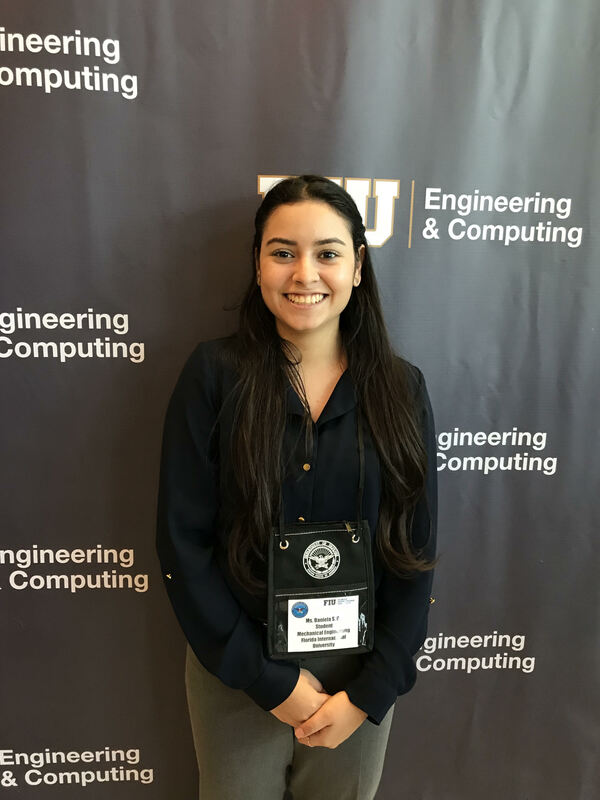 I learned that while I love the technical aspects of engineering and what it encompasses, I also really enjoy that interpersonal interaction with people and customers. I saw myself thriving in group environments. I learned that with hard work and dedication, anything is possible. How did you expand your professional network? In my own program, I was able to meet people from different technical and cultural backgrounds and form long-lasting friendships with them. I was also able to reach out to the leadership within my program and learn about their jobs, their career paths, and how their experiences differ from someone in my position. Additionally, through the various networking opportunities in the intern program I was able to meet people outside my program and my particular field. What advice do you have for others just starting the internship process? I would say being genuinely curious, interested in the nature of your work, and never shying away from asking a question is key to workplace success. I was really able to invest myself in my program and learn many things just by approaching people and asking questions. Never being afraid to ask for help or further guidance allowed me to properly do my job.